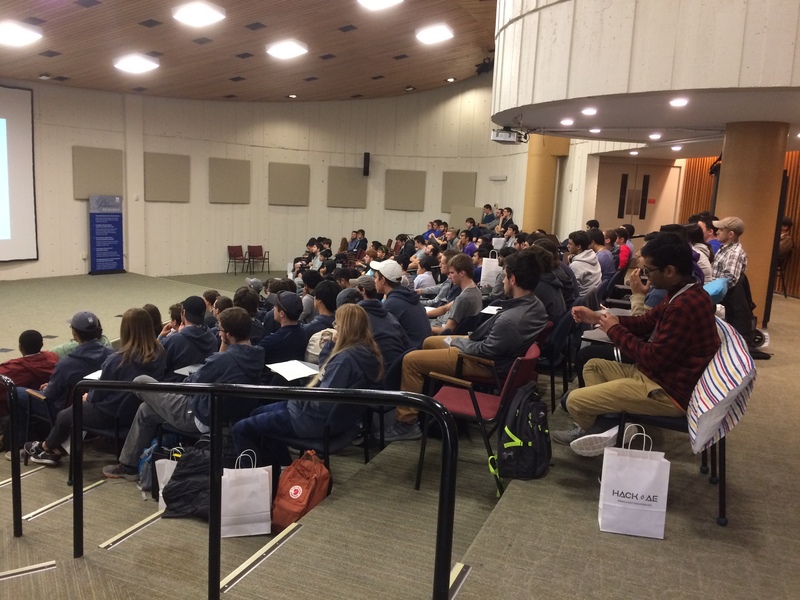 On the weekend of November 4th, UMass Lowell hosted the annual Hack AE (America East Hackathon), a 24-hour competition with a focus on developing technological solutions to real-world problems. The focus of the event was on “Hacking for a Better World.” The event was held on South Campus in O’Leary Library. Activities started at around 11 AM on Saturday, and went all the way to 4 PM on Sunday, November 5th. There were more than 120 students from 8 universities. 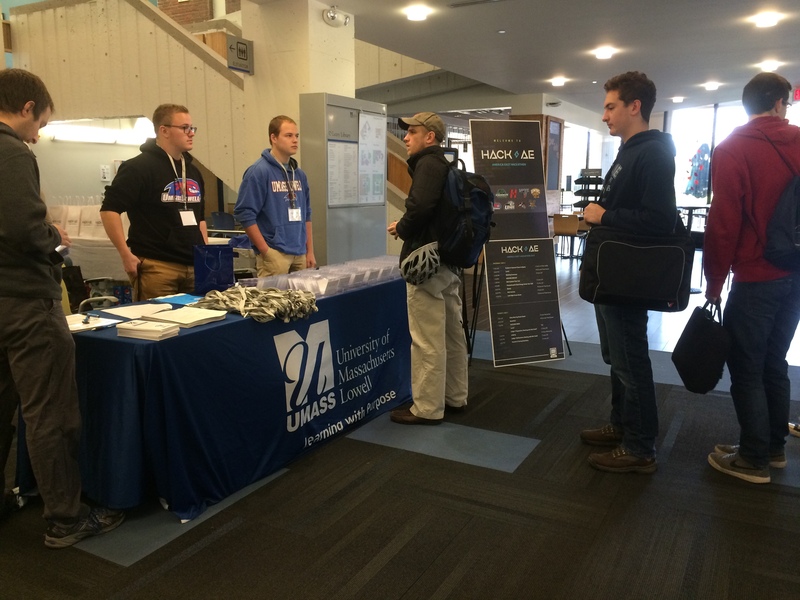 UMass Lowell teams took 3 of the 6 top prizes at the hackathon (Digital Health, Best Education, and Best Beginner Hack), while teams from the University of Maine took home the Cleantech Prize, University of Maryland Baltimore County won the Opioid Epidemic Challenge Award, and Binghamton took home Best Cyber Security Hack. There were also many great speakers at the event. Juliette Kenny, Executive Director of the America East opened the Hackathon with the rules and expectations, Provost Michael Vayda welcomed the students at the opening, and Steve Tello, Senior Associate Vice Chancellor for Entrepreneurship & Economic Development, spoke at the closing event on Sunday. Thank you to everyone who attended and made this event a success!